4k00:24Person hold horse leash and whip while turning around 4K. Long shot close up of trainer hands in focus while walking horse in circle. Horse in back and front out of focus walk over frame. hd00:20Aerial photography. A low flight over a field of ripe wheat. Blue, bright sky. Bright blue sky with beautiful white clouds. hd00:30Aerial photography. A low flight over a field of ripe wheat. Blue, bright sky. Bright blue sky with beautiful white clouds. 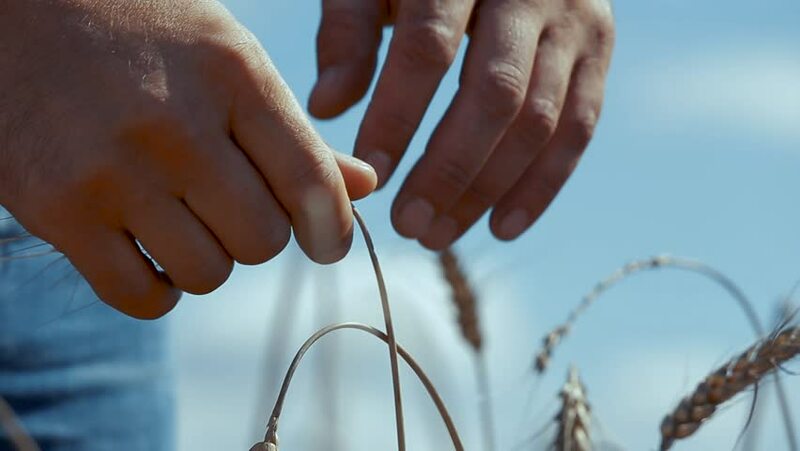 hd00:20Farmer in the field of mature wheat He tries the grain for taste and gives the command to harvest the wheat crop.